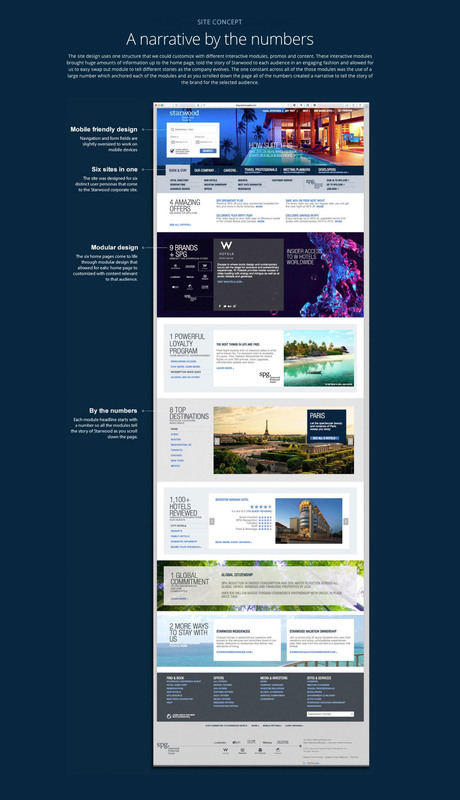 Re-design of the Starwood Hotels and Resorts global corporate web site focusing on customer, investor and career information. 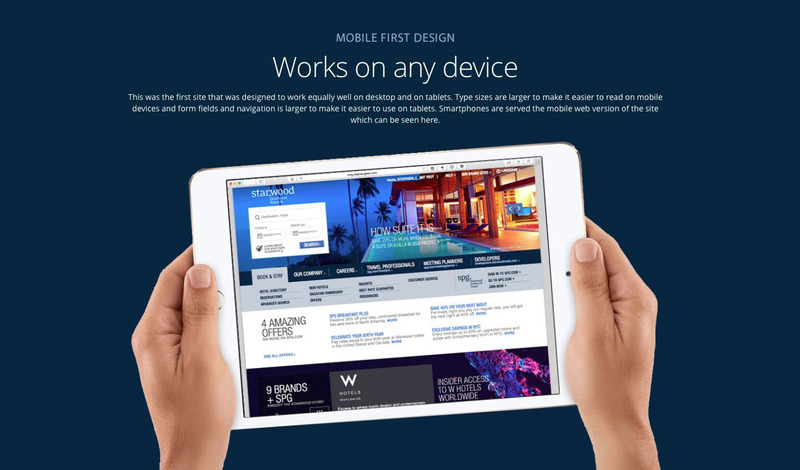 Designing the Starwood Hotels corporate site was a real challenge because instead of talking to just guests like the other Starwood brand web sites, the corporate site needed to be able to talk to six different audiences – guests, investors, job seekers, meeting planners, travel professional and hotel developers. The solution required modular design that would be customized for each audience and a design solution that could utilize that system to tell several different versions of the company’s story based on the audience. 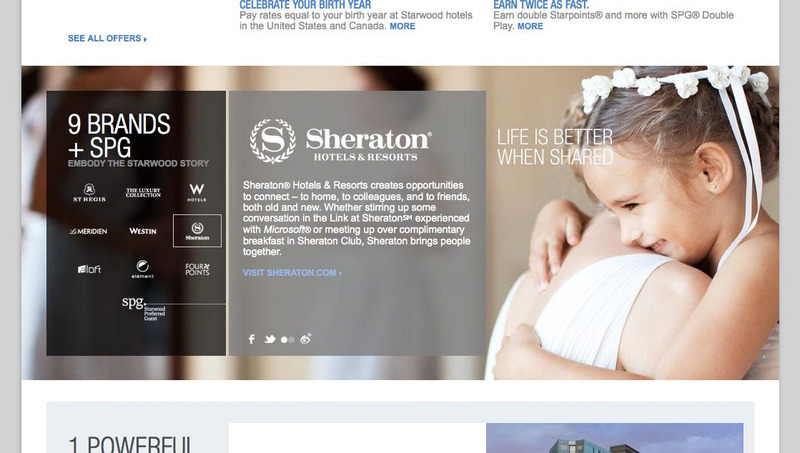 Designing the Starwood Hotels corporate site was a real challenge because instead of talking to just guests like the other Starwood brand web sites, the corporate site needed to be able to talk to six different audiences – guests, investors, job seekers, meeting planners, travel professional and hotel developers. 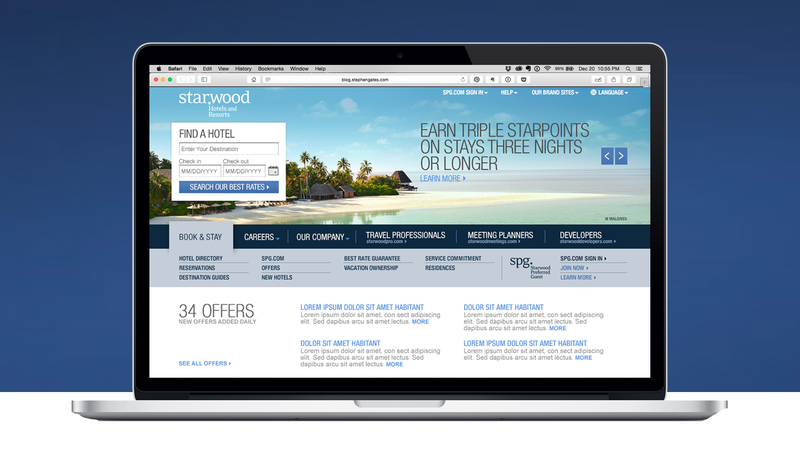 Each of these audiences would also arrive at the site wanting different information so we needed to create a structure that would allow the site to meet the needs of each audience but also easily change over time to tell the every evolving story of Starwood. The final design uses a navigation that simply shows each of the six audiences to allow for quick self-selection with separate home pages for each audience.